IFA 2016 kicks off in Berlin next week, and in among the thousands of new products on show are two new gaming monitors from Samsung that feature Freesync, Quantum Dot displays, and curved panels. First up is the CF791 series. 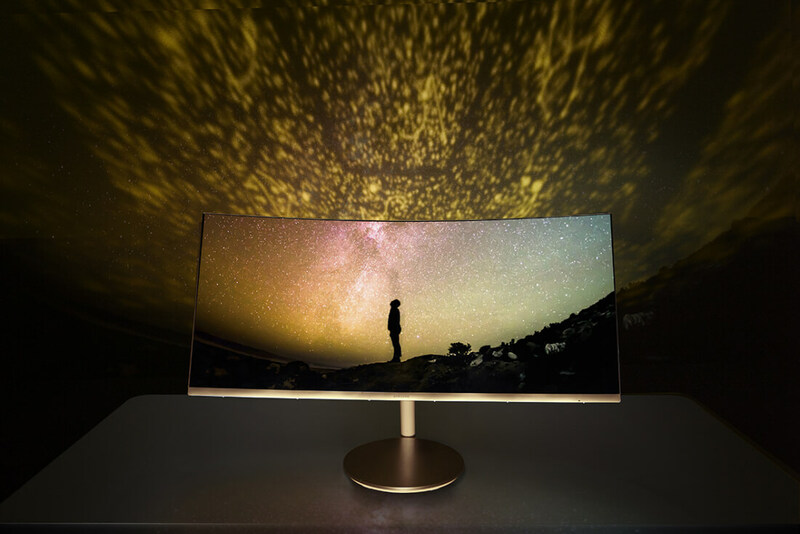 This 34-inch, Ultrawide (21:9) 3440x1440 monitor has a curvature of 1500R, making it the most curved gaming monitor on the market, according to Samsung. It also has a 100Hz refresh rate and a 4ms response time. The company said the $999, white and silver monitor’s “boundless” thin-bezel design lets gamers focus on the screen rather than the monitor itself. The Korean giant’s other new offering, the CFG70, comes in two sizes: a $399, 23.5-inch version and a $499, 27-inch model. It may be smaller and slightly less curved (1800R) than the CF791, but this 1080p monitor has more gaming features, such as an improved response time (1ms) and refresh rate (144hz). The CFG70 also comes with Arena Lighting – interactive LED lighting that provides a richer gaming experience by pulsing in time with the on-screen content – and Samsung’s Gaming UX OSD interface, which allows users to view and adjust essential settings through an on-screen dashboard. Thanks to the same Quantum Dot technology used in Samsung's high-end TVs, both monitors can display 125 percent of the sRGB spectrum and show deeper blacks and colors. 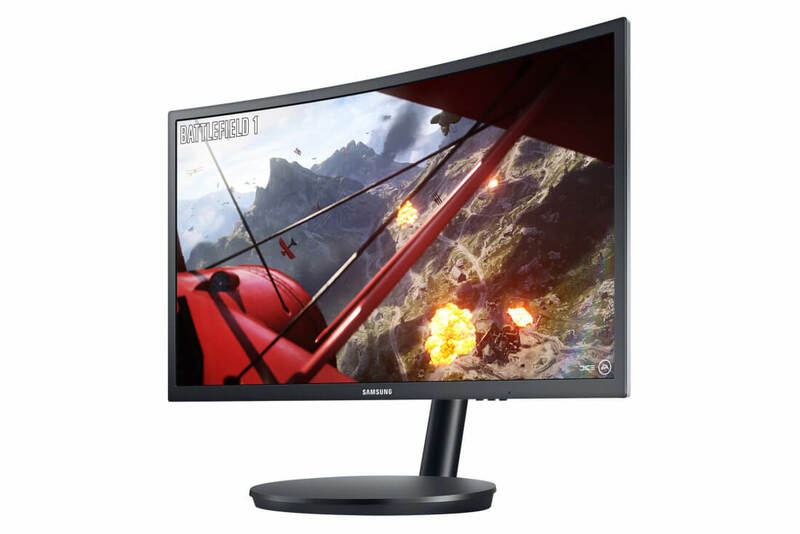 Samsung is expected to introduce 4K curved gaming monitors with fast response times next year. The CF791 and both sizes of the CFG70 will be available in the US from the fourth quarter of this year. You can see the full specs in the table below. 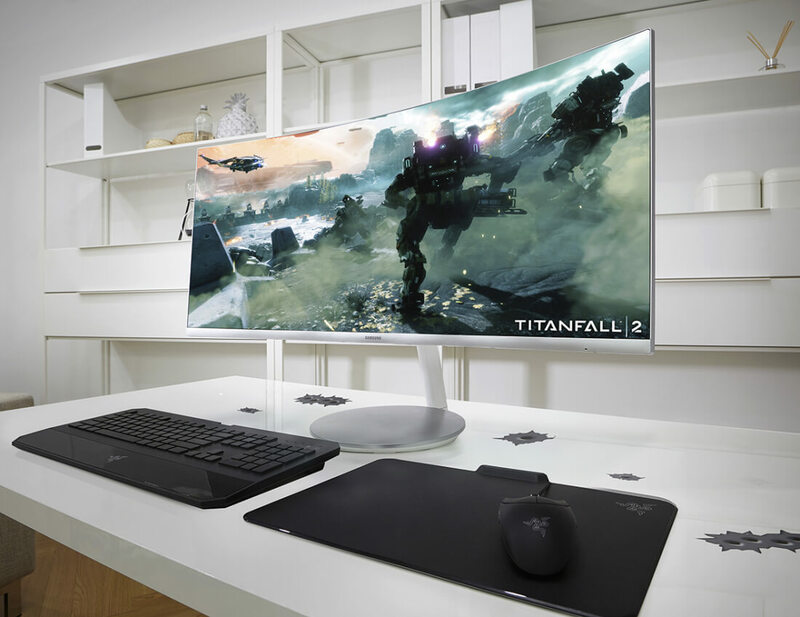 Screen Size 34" 23.5" 27"
"The company said the $999, white and silver monitor’s “boundless” thin-bezel design lets gamers focus on the screen rather than the monitor itself." Another reason for why I could never be a pro gamer, I'm always too busy looking at the monitor and not my screen, it's so distracting, that black plastic boarder and status LED. Sometimes I find myself zoned out entirely too fixated on that button panel thinking what if I played with those instead of the game I was playing, then I'm dead... But hey, Samsung has finally found a way to address my problem, just need to part way with $999 so it's good value too! PurpleYoda, Xtreme gamer, Lionvibez and 2 others like this. Looks amazing can't wait to see it in action. I have a friend who constantly needs new monitors, can see him falling for this one. With its lack of gsync could be a turn off for Nvidia users. I just wish Nvidia made us a holiday present and dropped the g-sync ball and gave us freesync supporting drivers. It's like about time now. "The company said the $999, white and silver monitorâ€™s â€œboundlessâ€ thin-bezel design lets gamers focus on the screen rather than the monitor itself." ... But hey, Samsung has finally found a way to address my problem, just need to part way with $999 so it's good value too! That's why it's better to spend 1k on a monitor than on a GTX1080 and a nvme ssd. $1,000 for a monitor? Well, I'm sure there will be plenty of people in the business world that will jump on that, but for us poor retiree's I'm going to have to wait for it to plunge to around $200 .... which, the way the markets have been going should be around what? Christmas of this year? I wouldn't be at all surprised ........ but I will have my checkbook at the ready!